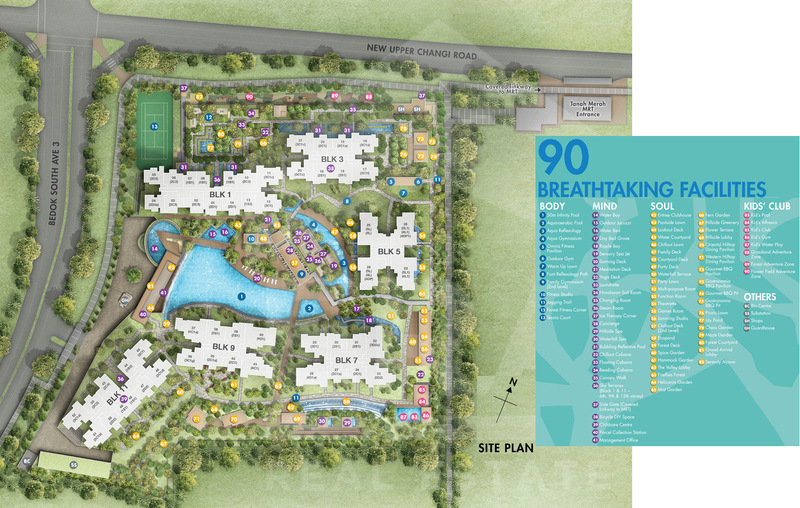 The Grandeur Park Residences site plan revolves around a design concept of splendour and elegance, as implied in its name. The theme here is on providing its residents with a journey, an experience, of luxury. Into this is woven an emphasis on the elements of holistic health: BODY, MIND, SOUL. This is evidenced by the types of facilities incorporated into the landscape. To register for showflat viewing / VIP Preview, or if you would like the Grandeur Park site plan sent to you, just email us below. The residential blocks are set out around the periphery of the Grandeur Park site plan. 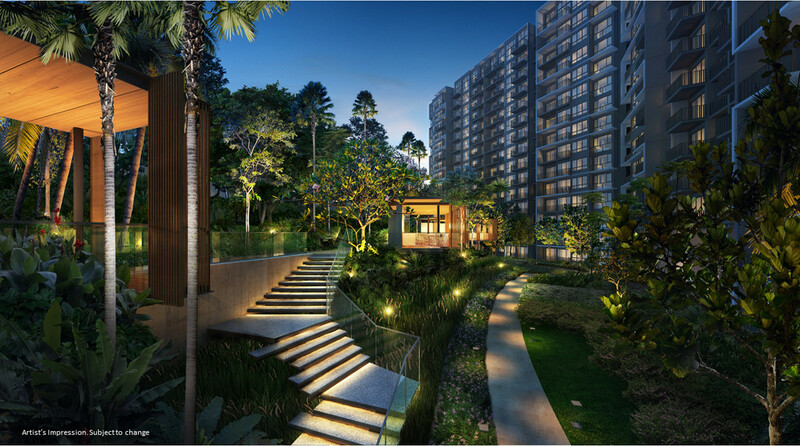 This is so that a large central landscaped space can be created, to allow a club-like setting for residents to enjoy, that gives a sense of belonging. The U-shaped peripheral arrangement of the blocks maximises the distance between blocks frontally, and provides for greater privacy. It also maximises the number of units with either pool views, or unblocked views to the south over the landed estate. The nearest Tanah Merah MRT station exit is just 50 metres away (one minute walk), on the same side of the road from the nearest Grandeur Park side gate. Even better, there is a sheltered linkway connecting them. In addition to the huge range of facilities here, the Grandeur Park site plan also caters a childcare centre, together with 2 shops. The 2 shops are located near the side gate to the MRT station, in its own area accessible by the public, who cannot access the development itself. These 2 shop units are for sale. The childcare centre is tucked away at the south east tip of the site, with separate access. It is not for sale.